Following the series of public hearings held across South Africa, the constitutional reciew process of Section 25 of the Constitution is now in the phase where role-players can make oral submissions to parliament. Several agricultural role-players are making use of this opportunity to impact the future of land ownership in South Africa. Agbiz too had the opportunity to make an oral submission to the Constitutional Review Committee (CRC) on its position in terms of the review of Section 25 of the Constitution. The Agbiz delegation was led by the chairman, Francois Strydom, and further comprised the CEO of Agbiz, Dr. John Purchase, Wandile Sihlobo and Theo Boshoff, who presented the submission to the CRC. Agbiz supports the three-tiered land reform process of redistribution, tenure reform and restitution mandated by Sections 25 (5), (6) and (7) of the Constitution, respectively. Agbiz has invested a considerable amount of time and resources over the past eight years to promote the success of land reform, both through inputs on policy and draft legislation, as well as formulating alternative funding mechanisms to speed up the process in a sustainable manner. Agbiz could not find compelling evidence to indicate that the slow pace of land reform is directly related to Section 25 of the Constitution. Agbiz is of the view that the current provisions of the Constitution provide the best possible framework within which meaningful and sustainable land reform can be achieved. The current wording of Section 25 of the Constitution strikes a good balance between the prospective protection of property rights from arbitrary deprivation, which is essential to economic freedom and individual liberty, whilst simultaneously placing an obligation to correct the skewed patterns of ownership inherited from the previous dispensation. Land reform is a necessary prerequisite for social justice in South Africa. However, Agbiz believes that social justice is not limited to redress but also must create new opportunities for those who were denied in the past. The protection of property rights is vital for individuals to achieve economic fulfilment and freedom. Section 25 (8) is clear that no provision of Section 25 may impede land, water and related reform. The claim that Section 25 impedes the state from giving effect to land reform therefore could be a misinterpretation opposed to a defect in the text. Even the right to compensation may be limited by a law of general application if it is reasonable and justifiable to do so in terms of Section 36. Amendments to this provision could have unintended consequences for other forms of property and other sectors of the economy. In terms of unintended economic consequences, the first major concern is agricultural financing since the sector requires finance to produce on a scale that enables it to compete globally. The absence of reliable collateral will constrain agricultural finance. This could likewise have a spill-over effect on the rest of the value chain as well as other sectors of the economy. Decreased investment and finance in the sector will inevitably soon lead to reduced production. South Africa is currently a net exporter of food which enables the sector to provide food at export parity prices. However, if we lose this status we will be required to import food at import parity prices, which will have a direct knock-on effect on the price of basic food for consumers. In order to do justice to the challenges facing the land reform programme, it is necessary to delve into the true reasons why land reform has not proceeded at the desired pace and investigate the assumption that the need to pay compensation for expropriated land makes the programme unaffordable. Agbiz believes that alternative proposals to fast track sustainable land reform need to be developed, even though land reform in its widest context is a complex topic which requires a nuanced approach. The organisation proposes that the state partners with the private sector and ring-fences a portion of its budget to leverage private sector to become involved on a public-private partnership basis. Agbiz and its members are committed to AgriBEE and many have voluntarily entered into joint ventures with black beneficiaries, communities or farm worker trusts. Agbiz and the Banking Association South Africa proposed a blended finance model for land reform that would see the private sector match the funds committed by the state to establish new black, commercial farmers. Expropriation only deals with the method of acquisition, while solutions to non-resource constraints need to be developed. Considerable research has shown that there are a number of systemic challenges hindering the land reform programme. These challenges are diverse, including beneficiary selection, legislative gaps, poor post-settlement support and poor implementation of existing policies. To address these issues, Agbiz included concrete solutions that are recommended as alternatives to address the underlying issues. These include evidence-based decision making on a collaborative, public-private partnership land audit to ensure credibility and universal buy-in. In the medium term a move can be made towards an e-cadastre which synchronises land ownership information with water rights, land claims and mineral rights to make informed decisions. Numerous legislative gaps have been identified by parliament’s high-level panel which relates to the identification of land and beneficiaries, elite capture and the legal framework for land redistribution. Legal reform is also urgently needed to secure tenure for communal occupiers and reform governance in communal land allocation to ensure transparency and accountability. These areas have great potential for agricultural development and investment but it is contingent upon legal reform which recognises a continuum of rights capable of acting as a platform for economic development. Seeing that fellow South Africans are talking about farm sizes today, I thought it would be useful to brush up a short essay I wrote a few months back on this subject. In May 2018, I participated in a panel discussion hosted by Nation in Conversation at NAMPO in Bothaville. The discussion focused on the importance of the economies of scale and question we had to answer was down to this: does farm size matter in South Africa? One central point that all fellow panellists emphasized was that smallholder farmers in communal areas should have title deeds so that they can unlock investments. Moreover, the national discussion on the future of agriculture should rather focus on boosting productivity across farms, not particularly farm size. This comes just a few weeks after Hume himself said he is on the verge of bankruptcy and may have to sell off his 1,626 southern white rhinos, or risk them being poached due to ther lack of funds required to provide the heavy security required at his property. White rhinos are currently listed as ‘near threatened’ by the IUCN Red List and it is estimated that 25% of South Africa’s rhinos are in private hands. In January of this year, Minister Edna Molewa of the department of environmental affairs released the 2017 poaching numbers from South Africa, and it showed that 1,028 rhinos were poached. Warren explained the extent of the rhino’s plight: “They are worth more dead than alive. I recently found a dead old rhino bull [who died of natural causes], and I was pleased. If I had sold him alive, I would have received R 180,000. Now I can sell his horn for R 380,000. In April 2017, South Africa’s highest court rejected a bid by the government to keep a ban on domestic trade in rhino horn. This means that rhino horn can now be traded legally within South Africa. International trade has been banned since 1977, and remains so. It comes down to simple economics. Private rhino owners can no longer afford to keep feeding and protecting these gentle giants of the bush when they are getting nothing, or very little, in return for them. Warren estimates he was spending in excess of R100,000 a month on feed for the rhino as well as R200,000 a month on security and anti-poaching measures. Despite his best efforts to protect them, Warren has lost 32 rhinos over the past 12 years. He wholeheartedly believes in the farming of rhino to remove their horns on a biannual basis to sustainably supply demand from the East. Made from keratin, the horn is a renewable resource and can be harvested from the animal. “What is the difference between rhino horn and deer antler? Between 500 and 600 tons of deer antler are exported out of New Zealand alone annually,” Warren says. Warren argues that the farming of rhinos for their horn is not hugely different to crocodile farming for their skins or ostrich farming for their meat or feathers. The difference is that rhinos do not have to die for their horns to be harvested. The correspondence then goes on to make sums over that 35-year period. Taking into consideration the estimated population in 1960 and the natural growth rate, it is speculated that in excess of 6,800 animals were removed from the population each year to reach the small population observed in 1995. The research assumes that each animal had about 4.5kg of horn, which equates to in excess of 30 tons of horn harvested per annum. Should this remain the demand in Asia, the future certainly looks bleak for these animals. The nature and timing of Ramaphosa’s announcement, late at night following a meeting of the ANC’s National Executive Committee (NEC), suggests that the President must have come under severe pressure from party leaders to make its position on land reform public (or, perhaps, that the party cannot contain leaks until the next day). He began his address by reiterating what has long been common cause among lawyers, academics, and policy makers: that the Constitution in its current form already allows for expropriation without compensation, and presents no obstacle to land reform. As the address went on, the President’s attempt to defend the correct interpretation of the Constitution while simultaneously justifying its amendment became more and more strained and confusing. The challenge, of course, is quite straightforward. There is such overwhelming evidence that the Constitution does not need to be changed – including from Ramaphosa’s own legal advisers and prominent lawyers like Adv Tembeka Ngcukaitobi – that the President cannot argue the opposite. At the same time, the political pressure to amend it from both within and outside the ANC has grown to such a level that it is impossible to ignore. Section 25 of the Constitution is explicit in allowing for the expropriation of land by the state “for a public purpose or in the public interest”, and clearly stipulates that the “public interest” includes “the nation’s commitment to land reform, and to reforms to bring about equitable access to all South Africa’s natural resources.” In subsection (9) it goes even further, asserting that “no provision of this section may impede the state from taking legislative and other measures to achieve land, water and related reform, in order to redress the results of past racial discrimination”. Even Vincent Smith, the ANC Member of Parliament responsible for the Joint Constitutional Review Committee, has agreed that Section 25 “does not need to be amended… in its current form, it’s sufficient to facilitate the land reform project”. Indeed, if the ANC felt that it was necessary to further specify conditions or criteria for expropriation of land – as the President suggested – this could be accomplished, and indeed would normally be done, through legislation alone. This raises an interesting problem. On the one hand, why should proponents of expropriation without compensation argue so forcefully for the need to amend the Constitution? On the other hand, if the Constitution already allows for this in its current form, why should opponents of land reform be so concerned by its amendment? The real problem with the proposed constitutional announcement in fact has nothing to do with land reform policy. There is little doubt that the land restitution process has to date failed to adequately address the brutal legacy of land dispossession under apartheid. For thousands of black families who were forcibly removed from their land under racist legislation and who remain poor and landless today, it is simply absurd to insist that existing landowners should receive the market price of land which is not rightfully theirs. The drafters of the Constitution recognised this, and formulated the property clause specifically to enable expropriation as a result. The danger of amending the Constitution is not, therefore, that it will facilitate expropriation without compensation. That would have happened anyway. The actual danger is two-fold. First, the public debate that has occurred since the EFF proposed a constitutional amendment has revealed the extent to which the Constitution is ignored or misunderstood by many South Africans. Equally, it has exposed the reality that a narrative which blames the Constitution for a perceived lack of progress over the past two decades has gained ground. In every public hearing, people from all walks of life and on both sides of the debate spoke as though the Constitution prevented the state from expropriating land. Time and time again, Julius Malema and other prominent political leaders got away with claiming – in Parliament, public rallies, and news interviews – that the Constitution was the problem. By capitulating to unnecessary demands for a constitutional amendment, President Ramaphosa has reinforced the false narrative that the Constitution is a “sell-out document,” that it protects and reinforces the privileges of the white minority, and that it stands in the way of meaningful social and economic transformation. The contrary is true. The Constitution provides a capacious framework for a wide variety of policies and political agendas, and explicitly commits the state to work actively towards restitution and redress. The President and the ANC have missed an important opportunity to make this point forcefully, to counter a narrative that unnecessarily weakens public support for the Constitution, and to make full use of its existing provisions. Second, the misplaced emphasis on the Constitution has allowed the ANC to divert attention away from its own failure to deliver swift and effective land reform since the end of apartheid. Making the Constitution the scapegoat, rather than the ANC government, was a serious political mistake of the EFF. It was too easy for the ANC to go along with this approach, and thereby to pull the rug from under the feet of its opposition. The Constitution is left as the only casualty, made to shoulder the burden of the government’s consistent failure. As the U.S. cherry industry feels the pinch of a sharp tariff rise going into one of their biggest export markets, Chinese importers say they are turning to Canada fill some of the void. The retaliatory duties, which hit in the first wave in April followed by the second round on July 6, have meant that over recent weeks U.S. shippers have faced a 50% tariff rate going into China, which last year became the Northwest’s number-one export market. Mark Powers, president of the Northwest Horticultural Council, said the effect has been “severe”, adding he understood that China is “basically closed for shipments.” Chelan Fresh general sales manager Tim Evans said that around mid-July the company had discontinued its large-air freight program to China, while Gebbers Farms CEO Cass Gebbers recently spoke of canceled orders and some 1 million boxes of fruit that needed to find new markets. But the U.S.’s loss appears to be Canada’s gain. Read the Full story on Fresh Portal. The retaliatory duties, which hit in the first wave in April followed by the second round on July 6, have meant that over recent weeks U.S. shippers have faced a 50% tariff rate going into China, which last year became the Northwest’s number-one export market. Chelan Fresh general sales manager Tim Evans said that around mid-July the company had discontinued its large-air freight program to China, while Gebbers Farms CEO Cass Gebbers recently spoke of canceled orders and some 1 million boxes of fruit that needed to find new markets. Julie McLachlan, general sales manager of British Columbia-based grower-shipper Jealous Fruits, said demand had clearly risen from China this season. Despite the escalating trade war, Liu was upbeat about the future of trade with the U.S., noting it had gained a strong foothold in the market. Microplastic pollution is devastating our oceans. New research indicates that the biggest culprit may be the clothes we wear. Research at the University of California at Santa Barbara found that, on average, synthetic fleece jackets release 1.7 grams of microfibers each wash. It also found that older jackets shed almost twice as many fibers as new jackets. The study was funded by outdoor clothing manufacturer Patagonia, a certified B Corp that also offers grants for environmental work. “These microfibers then travel to your local wastewater treatment plant, where up to 40% of them enter rivers, lakes and oceans,” according to findings published on the researchers’ website. Synthetic microfibers are particularly dangerous because they have the potential to poison the food chain. The fibers’ size also allows them to be readily consumed by fish and other wildlife. These plastic fibers have the potential to bioaccumulate, concentrating toxins in the bodies of larger animals, higher up the food chain. Microbeads, recently banned in the US, are a better-known variety of microplastic, but recent studies have found microfibers to be even more pervasive. While Patagonia and other outdoor companies, like Polartec, use recycled plastic bottles as a way to conserve and reduce waste, this latest research indicates that the plastic might ultimately end up in the oceans anyway – and in a form that’s even more likely to cause problems. Breaking a plastic bottle into millions of fibrous bits of plastic might prove to be worse than doing nothing at all. And the fibers are being found in fresh water as well. “This is not just a coastal or marine problem,” said Abigail Barrows, principal investigator of the Global Microplastics Initiative, part of the research group Adventurers and Scientists for Conservation. Of the almost 2,000 aquatic samples Barrows has processed, about 90% of the debris was microfibers – both in freshwater and the ocean. Florida-based Seald Sweet has hailed a successful return of the Argentine lemon industry to the U.S. market and says the season has been a huge learning curve. CEO Mayda Sotomayor also described the lack of any pest detections at U.S. ports as a “win” and expected volumes to see a rise next year – a view shared by the Argentine Citrus Federation (Federcitrus) and New Jersey-based Vision Import Group. Argentina has been exporting fresh lemons to the U.S. market for the first time in almost two decades, after the U.S. Department of Agriculture granted access in May 2017. Speaking with Fresh Fruit Portal, Sotomayor explained that Seald Sweet had been one of the first companies to bring in Argentine lemons during their first stint in the market, and had remained in touch with the country’s growers due to its programs in other markets like Europe. “We were very excited when the possibility came up for the entry of lemons from Argentina into the U.S.,” she said. She explained that volumes this year had not been as high as anticipated due to cold and wet weather in the growing regions over recent months, but overall she was delighted with how the campaign had gone. Company representatives traveled to Argentina before the season began to meet with growers and advise them how best to manage the U.S. market. “They had a daunting task. They had a protocol that was imposed on them that was very serious and very difficult, which they had never done before,” Sotomayor said. Significant changes had to be made to packing facilities to comply with the protocol, and it also required that fruit be harvested green – something Argentine growers were not used to, she said. “We knew that it was probably going to be a bumpy start, and I believe that it was. Luckily they recovered very well. They now have a much better grip on what they have to do in their packing facilities,” she said. Fruit quality was also good upon reaching retailers, despite uncertainty as to how it would turn out if it was still green when it was shipped. Shipments began arriving at U.S. East Coast ports from late May and are now winding down. Sotomayor said the past couple of months had confirmed that Argentina fills a “very necessary gap” in the market. California and Mexican supplies are low over June and July, and volumes from Chile alone are not able to fulfill demand. Another positive this season has been that no shipments were blocked on phytosanitary grounds coming into the U.S., despite rigorous inspections on all imports by U.S. authorities. “The victory is that they [the Argentines] did what they needed to do and they did it in the correct way,” she said, describing the lack of any incidents as ‘the biggest win of all’. Ronnie Cohen, co-owner of New Jersey-based Vision Import Group, has also enjoyed a good Argentine lemon season. He said the company’s last containers were arriving this week. Cohen said volumes were lower than expected – both because of weather problems and logistic issues involved with shipping to a market after a 17-year break – and described the industry’s decision to err on the side of caution as a “smart move”. Demand and prices have been good for most of the season, he added. Cohen also saw a good future ahead for Argentine lemons, noting that they could compete well with domestic fruit given the high cost of trucking lemons over from California to the East Coast. Argentine Citrus Federation (Federcitrus) president José Carbonell also believed it has been a successful season. Last week he told Fresh Fruit Portal there were just three or four companies who were still shipping, expecting dispatches to wrap up by the end of the month. He estimated lemon exports to the U.S. this season did not surpass 5,000 metric tons (MT) – a relatively small volume for one of the world’s leading exporters. “We have already exported more than last year in total and to the U.S. we have just shipped small volumes … but they have been carried out in a normal manner and we have received a good reception,” he said. Next year he expects U.S. companies will have larger programs of Argentine lemons. “This season was more about seeing the results, and I think that with this experience next year the volumes will be agreed in advance, which will give us more foresight,” he said. Argentina’s leading lemon markets are Spain, the Netherlands, and Russia. g trade in lion bones should be halted, and keeping and breeding lions and tigers should be curbed, conservationists have urged. 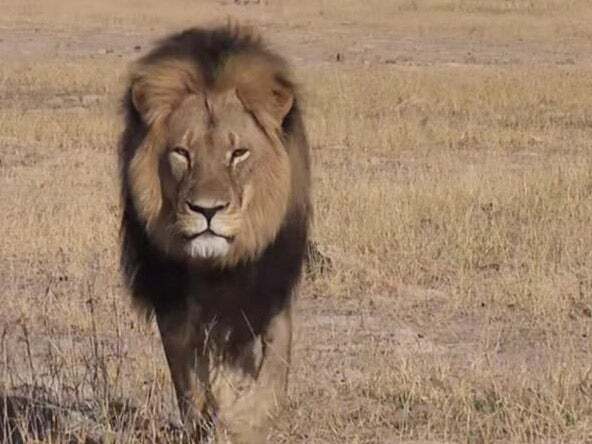 A major report into the practice has been published after South African ministers announced a near-doubling in the number of lion bones allowed to be exported. The bones are largely sold to Asian markets for use in virility products and traditional medicines. 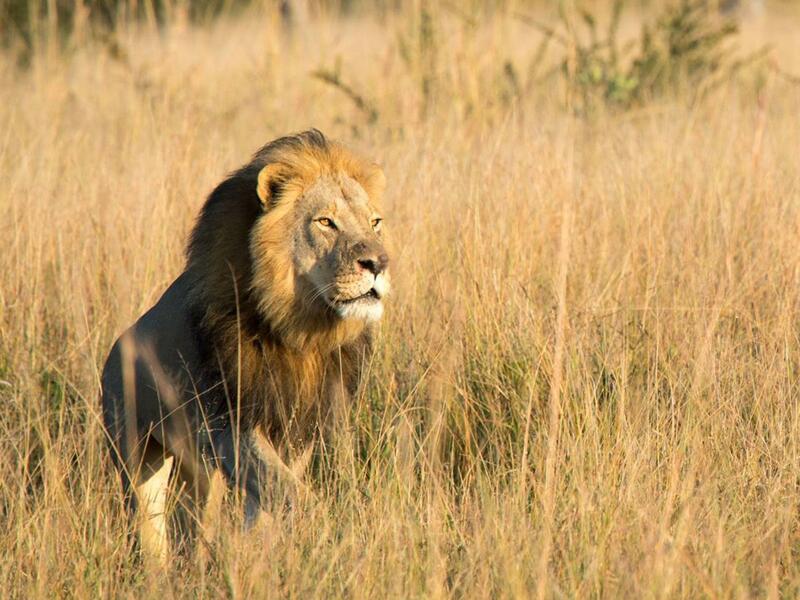 News of the new quota prompted outrage, with animal-welfare activists and organisations appealing directly to President Cyril Ramaphosa, saying the move would accelerate the drop in wild lion populations by fuelling poaching, and would undermine efforts to decrease demand for unscientific traditional medicines. South Africa’s EMS conservation foundation and the Ban Animal Trading group, which together produced the report, called The Extinction Business, argue the big-cat skeletons industry should be dismantled and intelligence-led investigations should be launched into the Asian criminal networks fuelling the growing trade. It also identified flaws in the Cites system of issuing permits for bone exports. The controversial lion-bone trade began in the country a decade ago, and it is now the largest exporter of lion bones to Asia - mostly to Thailand, Vietnam and Laos, where bones are ground down to make medicine and wine, which is wrongly believed to be a health drink. The market has flourished despite authorities' efforts to crack down on the use of tiger body parts for Chinese medicine. Trophy-hunters travel to South Africa to shoot lions bred there in captivity specifically for the hunting and bones businesses. Up to 8,000 lions are kept in more than 200 “canned hunting” breeding facilities. But experts believe they are helping to fuel wildlife trafficking by creating demand. Between 2008 and 2015, the South African Department of Environmental Affairs issued permits for the export of more than 5,363 lion skeletons, research has shown. Last year the business brought in an estimated 16m South African rand (£908,000), according to the Captured in Africa Foundation. However, the department has approved an annual quota of 1,500 lion skeletons for export, almost double the previous year’s quota of 800. Linda Tucker‚ founder and head of the Global White Lion Protection Trust‚ wrote a heartfelt letter to President Cyril Ramaphosa‚ appealing to him to reverse the move. “Factory farming lions for killing is not a policy South Africa can defend, neither the old nor the new South Africa,” she wrote. “As I write to you‚ 1,500 of our lions‚ incarcerated under abysmal conditions‚ have been committed to slaughterhouses in the inappropriately named ‘Free State’. “Once vilified for apartheid‚ our country will go down in history for legalising crimes against nature that supersede the wrongs perpetrated by the illegal trade in animal parts. The South African government has justified the trade in bones as a by-product of the "hunting industry" and claimed the increased quota has been prompted by a growing stockpile. Spokesperson Albi Modise said the quota was based on a research project established by the SA National Biodiversity Institute with Oxford University and the University of Kent which said there had been no discernible increase in the poaching of wild lions, although there appeared to be an increase in the poaching of captive-bred lions for body parts. But The Extinction Business report said by calculating the weight of consignments, experts believe exporters are exceeding the export quotas – unchecked by Cites. It stated the industry is de facto fully supported by the state, “despite widespread opposition to the practice which is considered extremely cruel, linked to international criminal networks, a threat to Africa’s wild animals population and run by a small monopoly of operators purely for financial gain". Zimbabwe's land audit to ascertain farm ownership, disputes and land utilisation levels has been stalled due to lack of adequate funding, Agriculture Minister Perence Shiri has said. Following land reform programme-which saw government taking over land from about 5 000 commercial white farmers who owned about 70 percent of Zimbabwe's fertile land-concerns of lack of production and multiple ownership have been raised. Shiri told Business Weekly that there was no meaningful progress on the audit due to funding constraints. According to reports, some informal audits exposed serious irregularities in the allocation of farms with some children alleged to have benefited from the programme blamed for the collapse of the economy. The land reform programme saw agriculture output crash, with the nation's gross domestic product shrinking by as much as 50 percent between 2000 and 2010. "We have made some progress though not to my satisfaction," said Shiri in an interview on Wednesday. "Financial resources have been a serious challenge. The (audit) teams need vehicles, travelling and subsistence allowances for their sustenance whilst they are in the bush. "What we have received as support in that regard is not adequate really to meet our expectations. He said the ministry had approached treasury for supplementary budget "and we hope they will do something." Shiri could not reveal how much is needed. President Mnangagwa said while the land reform was irreversible, the government would ensure compensation is made for investments made on the farms. Speaking at his inauguration last year, President Mnangagwa said the land reform programme was inevitable and "nationalization of our land cannot be challenged." White farmers are, however, hoping that a new dialogue with the government over compensation for lost properties will succeed and help send a positive message to foreign investors over private property rights.